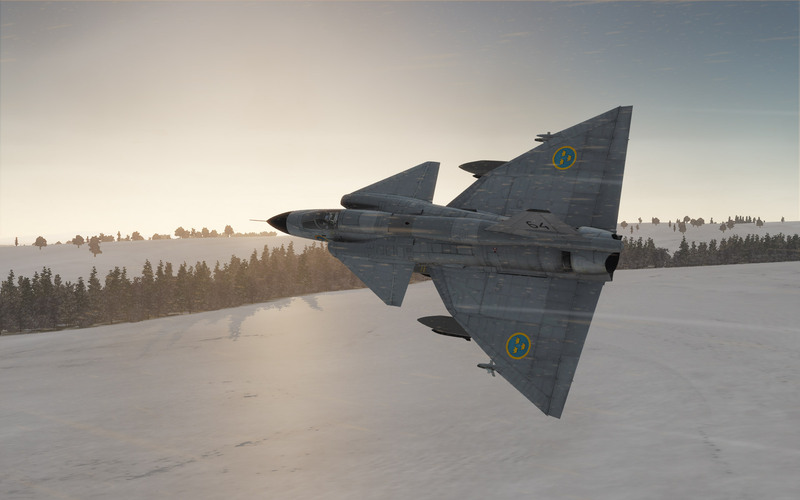 The aircraft of DCS World cover a wide variety of eras, nations and technology levels. 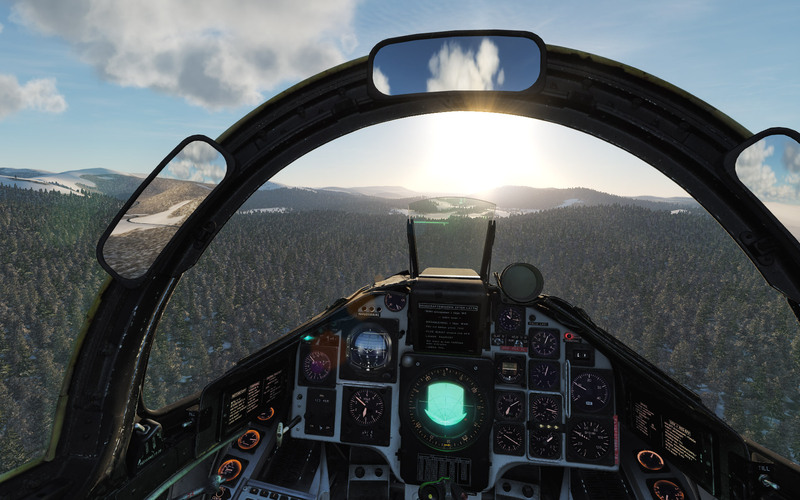 In this aircraft Gazetteer I try and provide an overview of what some of the aircraft in DCS World are all about. This may evolve into a more comprehensive guide but for now it covers the aircraft I know best. 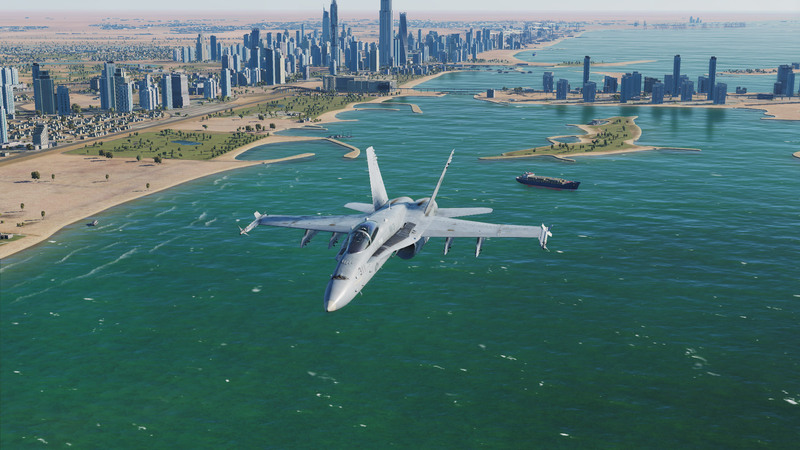 Powered by two GE 404 turbofans, the F/A-18C can be propelled up to a speed of Mach 1.8 but this aircraft’s power isn’t in its speed but in its smarts and its flexibility. 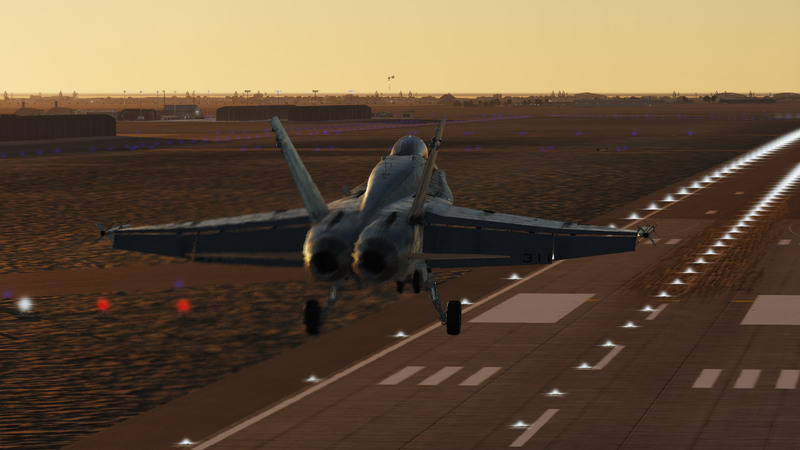 Able to transition from air-to-air to air-to-ground with the flick of a button, the F/A-18C was one of the first jets to benefit from digital avionics and heralded the emergence of the 4th generation of multi-role jet fighters. 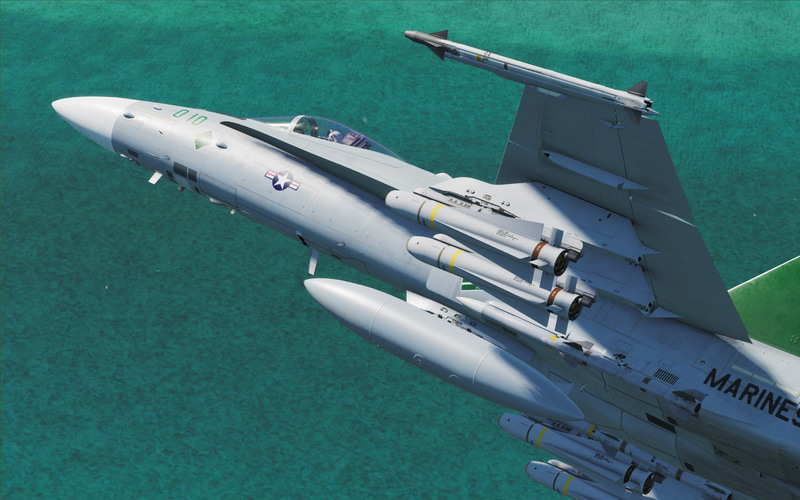 Able to carry a huge list of precision and unguided weapons, the F/A-18 is flexible and able to perform nearly any mission required by a fighter jet including the delivery of stand-off ordinance, bombs, laser guided munitions, and air to air missiles. 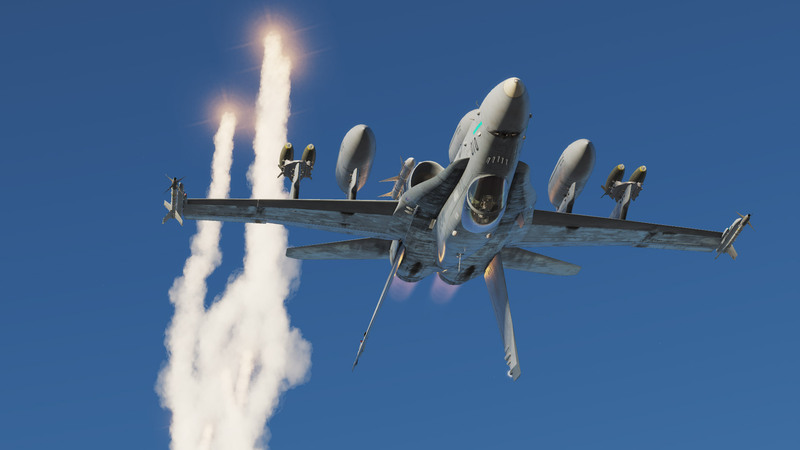 With excellent high-alpha performance, the F/A-18C is also a capable close in dogfighter and its AIM-9X plus JHMCS give it an impressive capable of engaging targets at nearly 90 degrees off boresight. 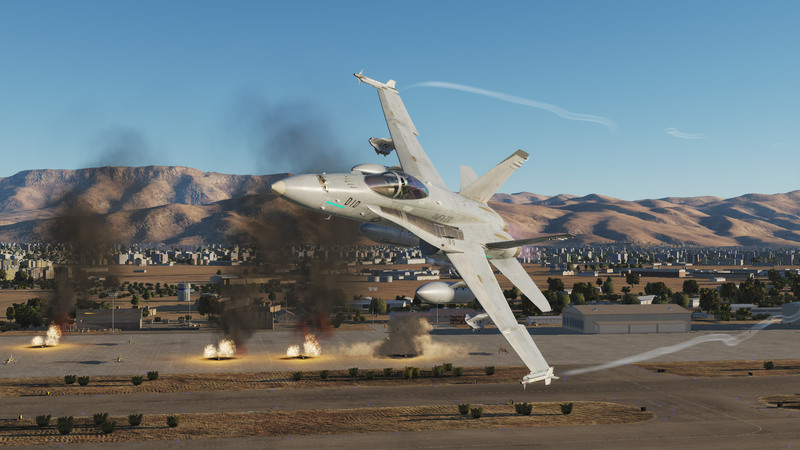 In DCS World, the F/A-18C is currently in Early Access and will continue to gain features in 2019. 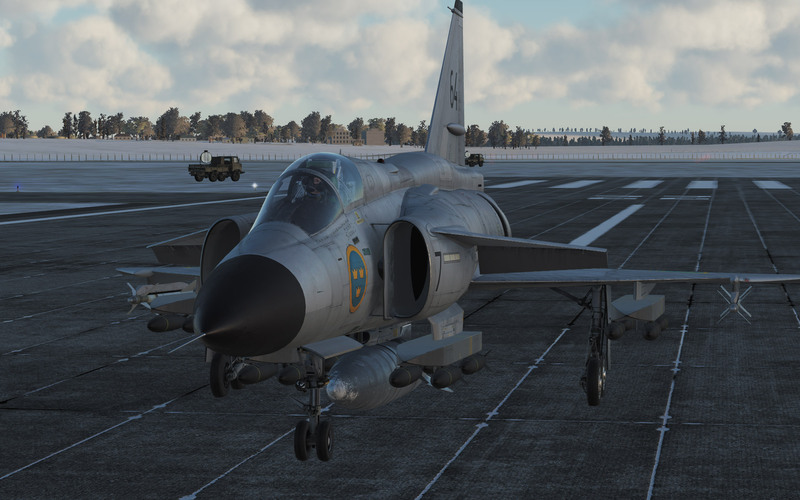 SAAB built several distinct variants of the SAAB 37 “Viggen” for the Swedish military in the late 1960s. 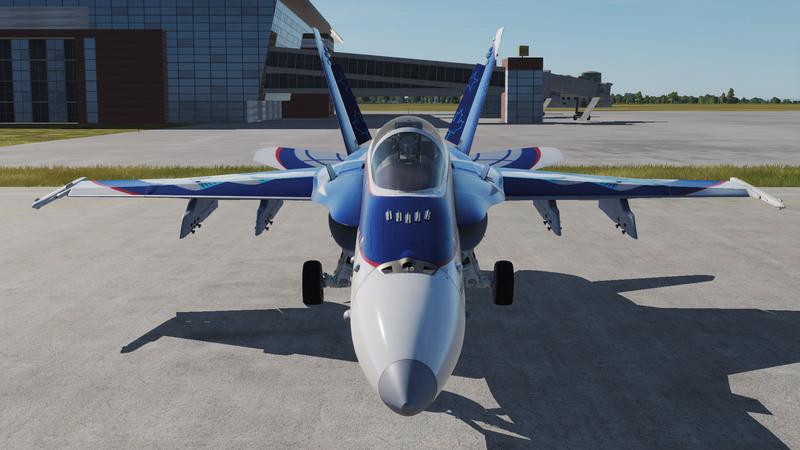 By the the mid-1990s the AJ, SF and SH 37 variants were upgraded with new avionics and designated AJS-37. 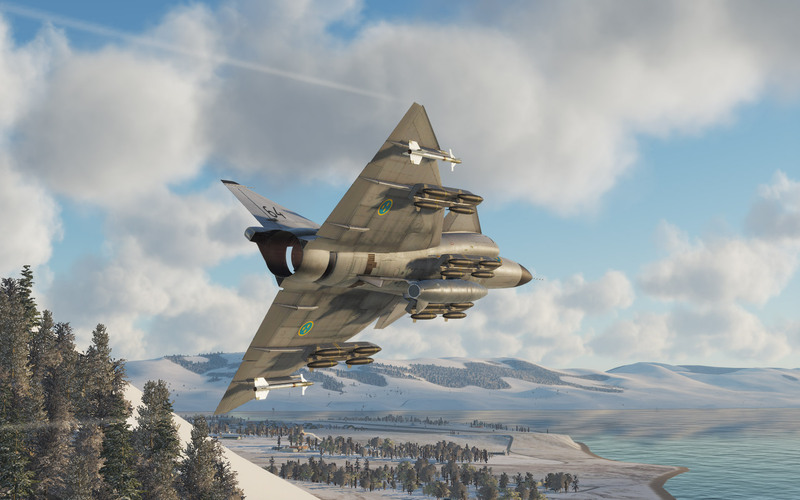 The Viggen in AJS-37 configuration is a penetrating strike aircraft designed to fly at extremely low altitudes using a variety of pilot aids. 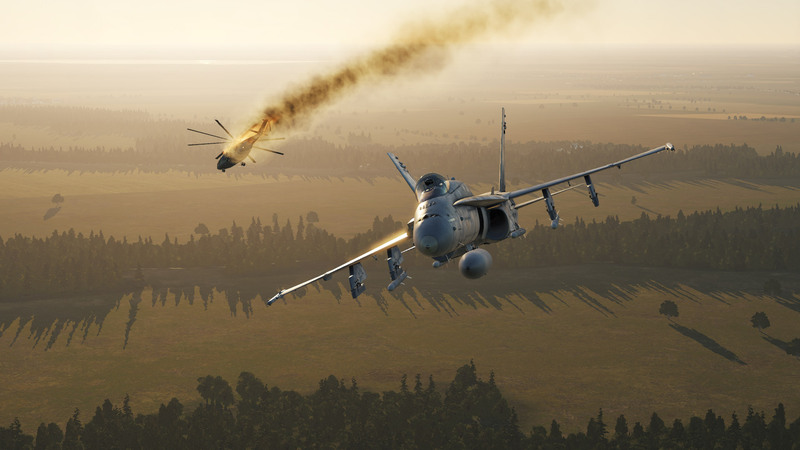 The AJS-37 excels at anti-ship strike missions as well as attacks against pre-planned target areas using rockets, bombs, and stand-off munitions dispensers. 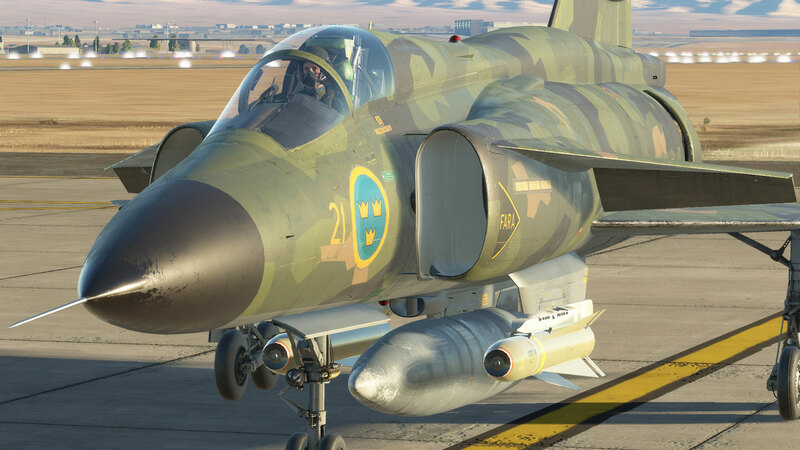 Swedish military doctrine ensured that the AJS-37 would be able to operate from roadways in addition to runways and was thus equipped with a thrust reverser able to enable short field performance. 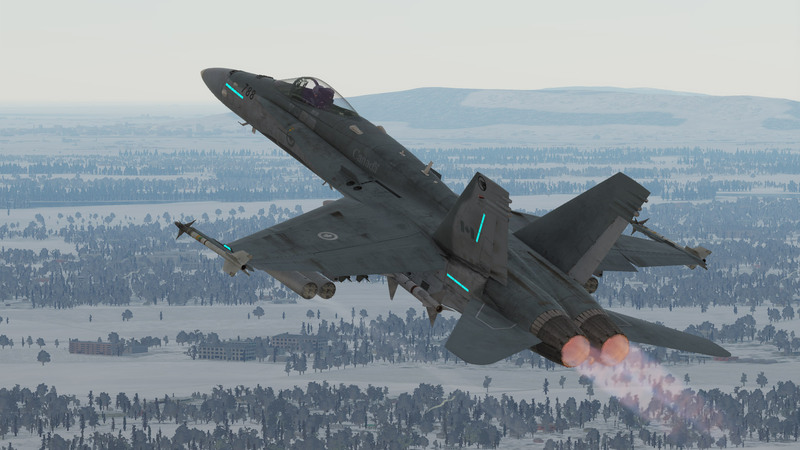 Robust, capable, yet relatively simple to fly, the AJS-37 relies on speed and low level tactics to evade enemy radar, air defenses, and interceptors. SNECMA M53A single engine fourth generation interceptor manufactured for the French Air Force and exported around the world. 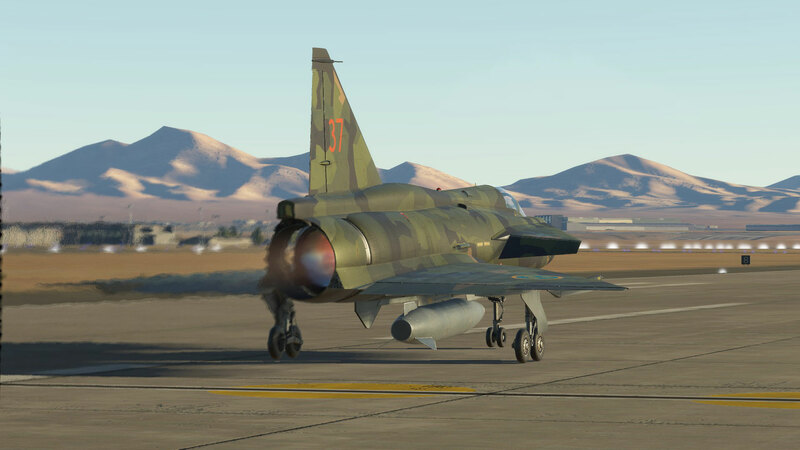 It’s SNECMA M53 providing 21,000lbs of thrust in the jets lightweight delta wing design help enable it to travel up to Mach 2.2. 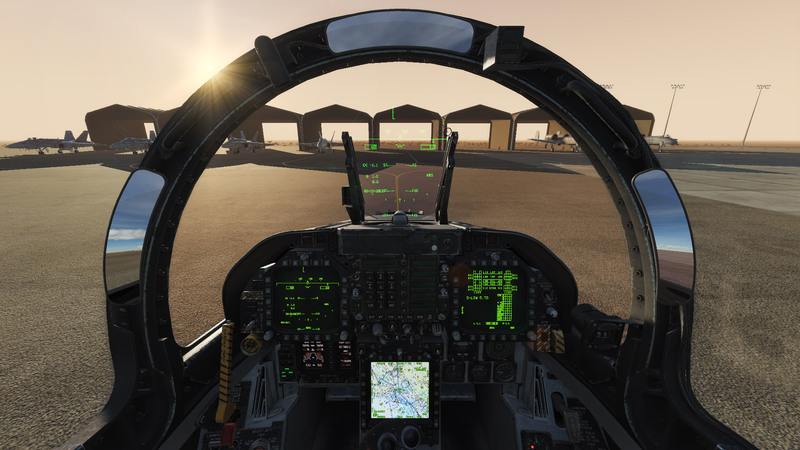 It’s digital fly-by-wire control system help give the aircraft its nimble performance against otherwise more powerful jets. 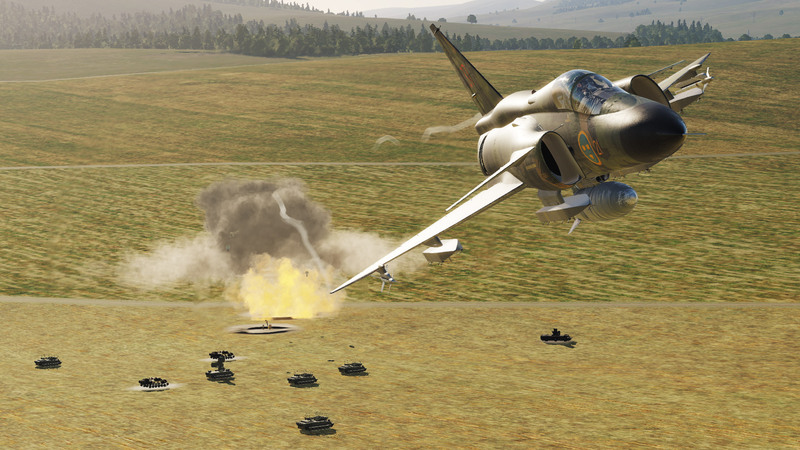 Capable of employing laser guided munitions as well as unguided rockets and bombs, the M-2000C can be used as a multi-role jet although its best optimized for the air interceptor role where its Magic II and Super 530D missiles enable both close in dog-fighting performance and limited beyond visual range ability. 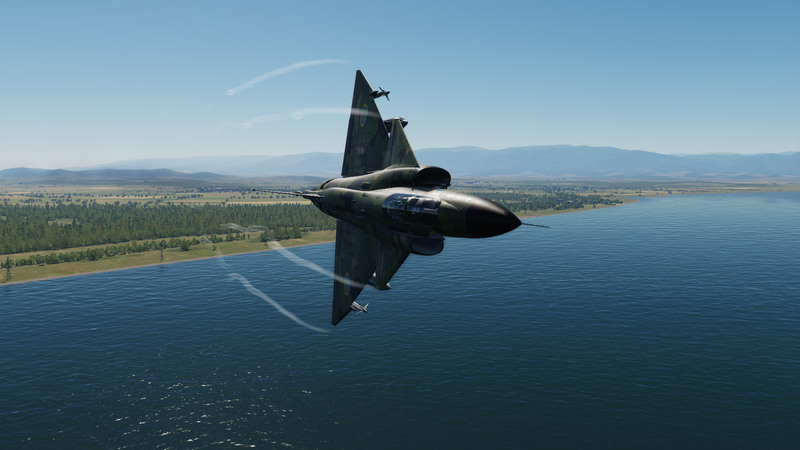 The Mirage series of jets are capable performers that can punch well above their weight and the M-2000C is no exception.